With Manage Quotes 2.0, you can streamline preparation, delivery and actual processing of quotes right from your Miva Merchant admin. The Manage Quotes module for Miva, gives you a robust quoting system tied directly into the Miva software. It allows both your customers to add products to their cart and submit a quote request as well as your sales team to manage and respond to quotes customers submit. 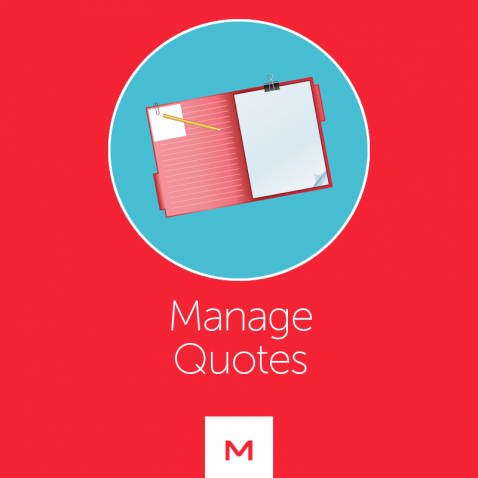 With advanced features like the ability to easily convert a quote to an order, quote expiration date with auto reminders emails, and quote notes to allow a back and forth conversation between you and the customer, the Manage Quotes module is the most powerful quoting tool for Miva.